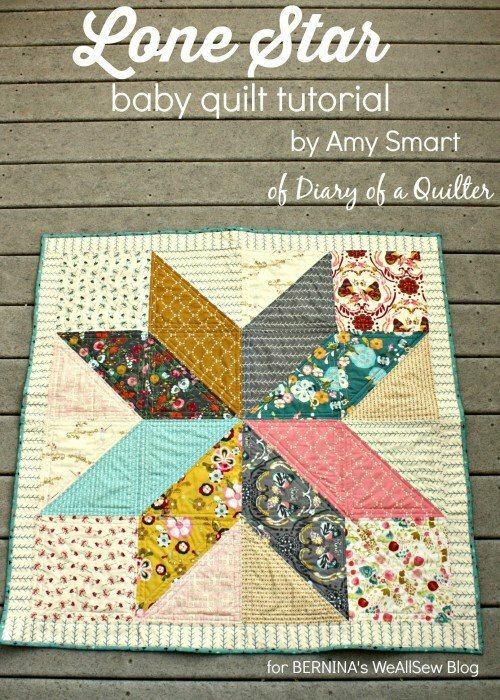 "I love a simple, classic star quilt block. They’re timeless and traditional, but can easily be given a modern, graphic look because of it’s simplicity and by enlarging its size. Today I’m sharing the measurements for a very simple baby quilt from this traditional block that can be made quickly and easily. It’s a great beginner project as well. 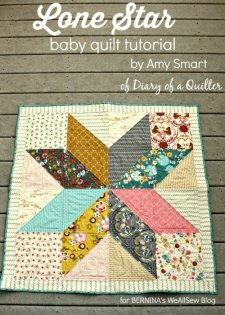 "Yesterday and today at the BERNINA We All Sew site, I’m sharing a simple tutorial for the easy star baby quilt on the right in the LeMoyne, or Lone Star variation. 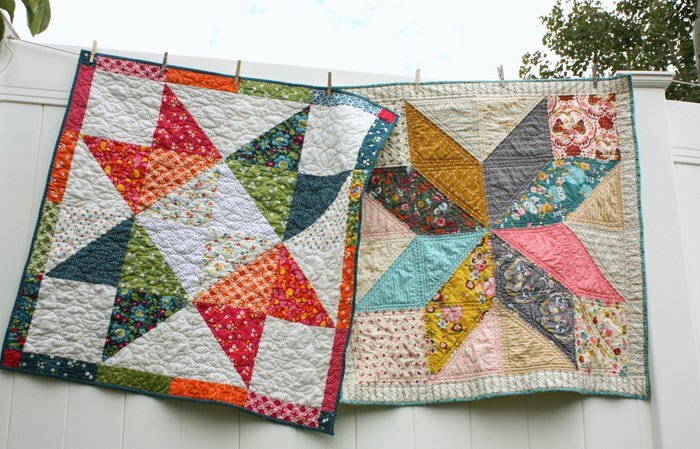 On this site, I’ll be sharing the measurements and construction for another variation of the star quilt on the left. Construction is similar, but fabric requirements and layout are slightly different."